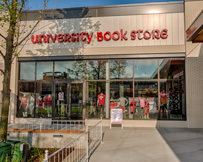 The University Book Store operates several unique specialty stores, all of which can be reached by telephone at (800) 993-BOOK. Simply tell the operator which store you wish to reach. On the Library Mall, west of Lake Street, across from the Memorial Library. 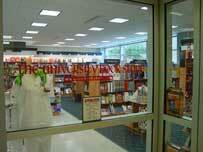 Our flagship location serves the University of Wisconsin-Madison campus, as well as the greater Madison community. Badger clothing & gifts for Men, Women, & Kids! 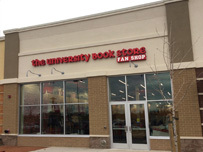 Our Hilldale location is on the West Side of Madison and boasts an expanded shopping area for Badger clothing, gifts and books. Next to the Hospital parking ramp. 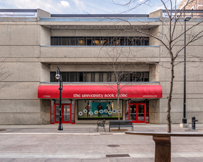 Our Health Sciences Learning Center store is located adjacent to the UW Hospital and Clinics, serving the students, faculty, staff, and health care professionals of the University of Wisconsin - Madison. Our Janesville Mall store is located next to Spencers. We offer a large selection of UW Badgers collegiate clothing and gifts. Our Brookfield Mall store is located on the South end (on the outside) of the mall, near Uncle Julio's. 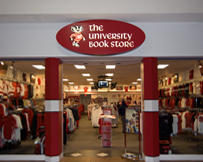 We offer a large selection of UW Badgers collegiate clothing and gifts.